Hello there! So I wanted to do an apology post because I’ve not been able to post in FOREVER! But I figured I would just keep it short and sweet and put it at the start of this GlossyBox Post. Sometimes, no matter how much you try to dedicate yourself to your blog and your readers something in your life will get in the way. This is exactly what happened for me. The last blog post from myself was about a Job Promotion, well that went very wrong for me. I enjoy my job and I try to work my hardest all the time but sometimes things just get a little much and on this occasion it took its toll on my skin. I suffer from eczema, I have done since birth but I have it under control, most of the time. This time though, stress took over and I ended up in a look of pain and the eczema targeted my hands and feet. For a very long time I was completely unable to walk. I demoted myself at work to try to help with my stress levels and I have been off work since MAY! I thought about posting whilst I was off but I really had nothing to post about because I was in bed unable to move day in and day out. 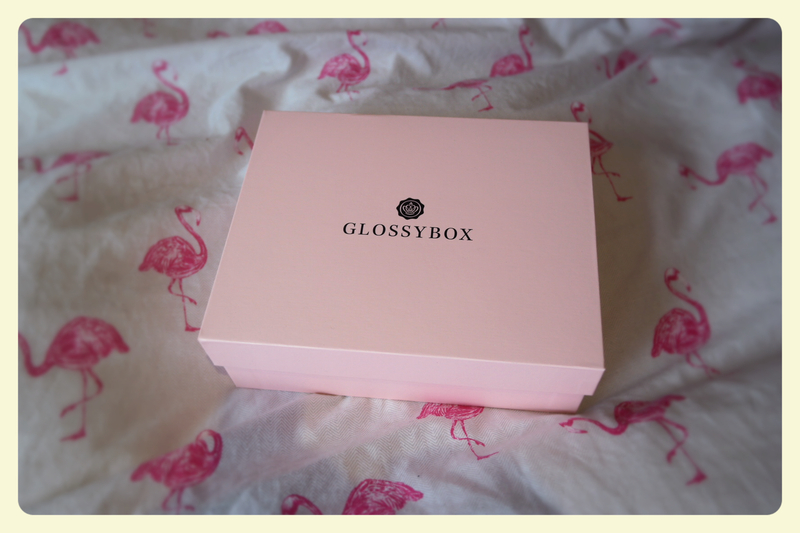 So to start this blog back off I am going to give you and an August GlossyBox Mini Review…ish. For some unknown reason my August GlossyBox turned up on the 2nd September so this is a bit of a late review but never the less. So this month we were back to the classic pink box which I love! I keep al of my boxes under my bed, some I use for storage and others are empty but I also use them to put odd-shaped gifts in to make them easier to wrap. When I opened this box I was super excited to see two of the brands that I love, SASS and NAOBAY. There was also a product from a brand called MeMeMe which I haven’t got on with before and two new brands for me to try. I though I would try the new products first as I kind of has an idea about the others already. So fist up is the Artist colour powder blush in the shade 108. This product was voted into the box by GlossyBox customers. 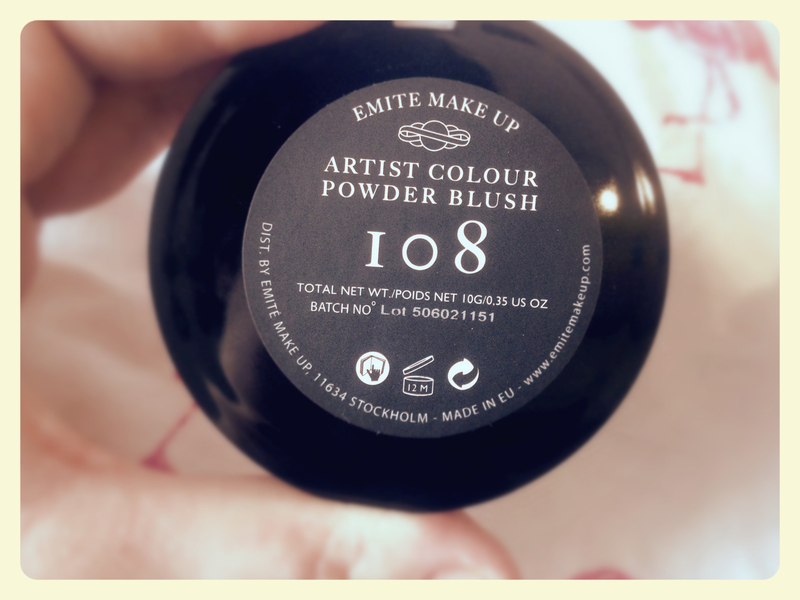 It is a Blush/Bronzer hybrid from the Swedish brand Emite. 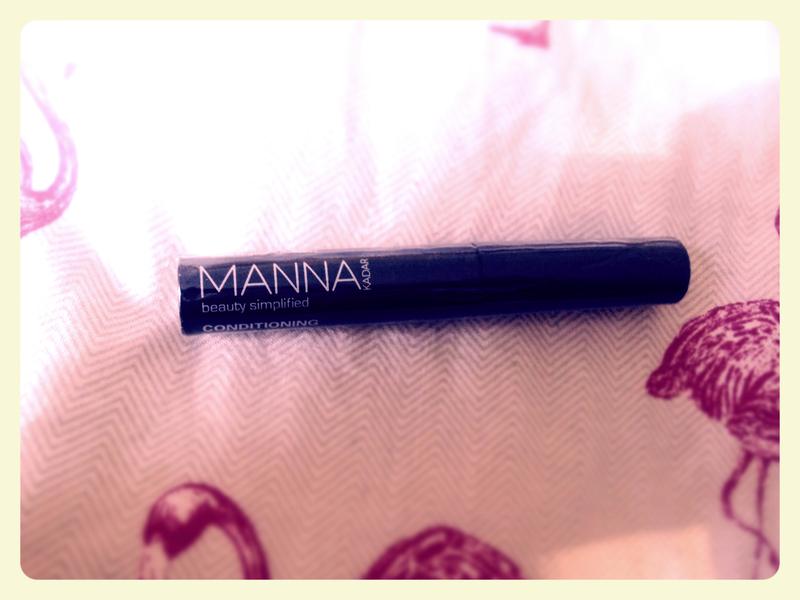 The next product for me to try is a lash primer from the US brand Manna Kadar. The Glossybox description card says that it leaves your lashes ‘conditioned and voluminous’. Well, it doesn’t! I am not impressed with this product at all! I used it every night for a week and all it done was add a layer of product that was thick and dried very crusty on my eye lashes. I found that it was uncomfortable and I was constantly aware that it was on my lashes. It also says that it can be used under mascara for an ‘enhanced final effect’. I didn’t like it under mascara either, it made my mascara clump up. So over all I wasn’t impressed. Next I moved on the brand i didn’t get on with MeMeMe. 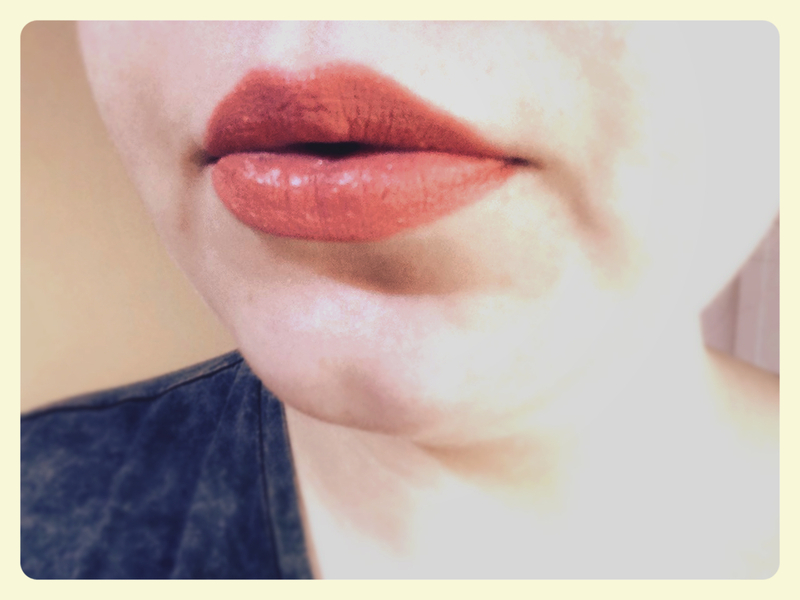 This time I was trying a Lip glide in Playful Peach and it was PEACH! The product is a matte-velvet chubby lip crayon and it has changed my mind on MeMeMe completely! I LOVE this product so much. 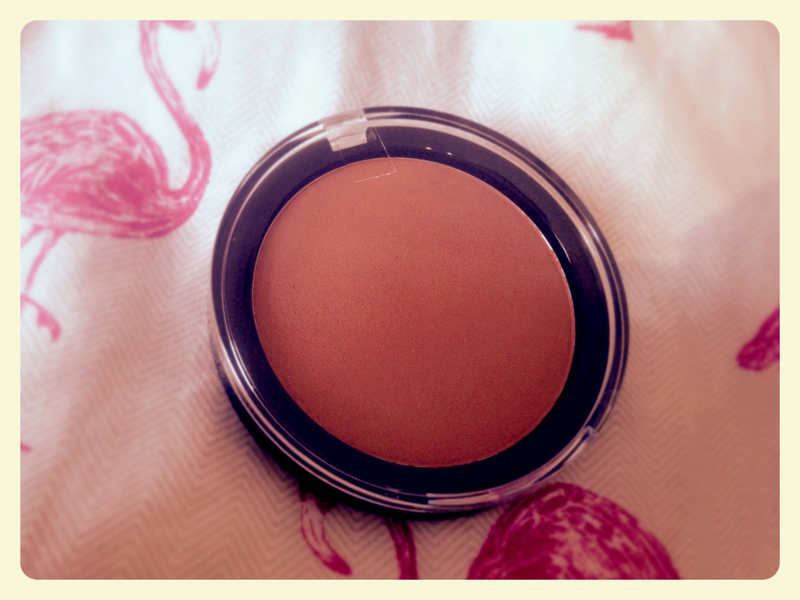 It is super easy to apply and is so hydrating, the colour is very pigmented and lasts nearly all day. (I did have to touch up after food as normal.) This colour is super cute, I just wish GlossyBox had given it to us at the start of summer as it is the perfect summer shade! I will defiantly be purchasing more shades! Oh and one more thing, it’s such a great size that fits into your bag. Moving on to the SASS Purifying Cleanser. This is an intimate wash that works as a probiotic to balance your skins PH levels. You use two pumps in the shower and rinsed with warm fresh water. I already use the Intimate Perfect Skin Concentrate which came in the May 2015 GlossyBox and I love it. So I was excited to use this wash. I have been using the Femfresh wash and it has been doing the job but the SASS Purifying Cleanser is out of this world. It is so gentle and soothing, there was no dryness after. It’s just such an amazing fresh product. I will be purchasing both the wash and concentrate again! Now for the final (and best) product in this box, the NAOBAY Calming Face Toner which is a Spanish 4 in 1 product. I LOVE LOVE LOVE this product! Lets start with the packaging, it is matte white with a wooden screw lid, so simple but so beautiful. It would look great on your vanity or on you bathroom shelf. I already have the Moisturising Peeling which gets rid of any artificial skin cells and daily impurities and now I have the Calming Face Toner to work along side it. You apply a few drops to a cotton pad and dab/softly wipe your face and it effectively removes traces of make up and impurities from the skin, cleanses, tones and soothe the skin with Chamomile and Asian Cantella. I would love to repurchase this product but I’m not sure where from, if you know where I can purchase please leave me a comment.